We Are The Lions, Mr. Manager! 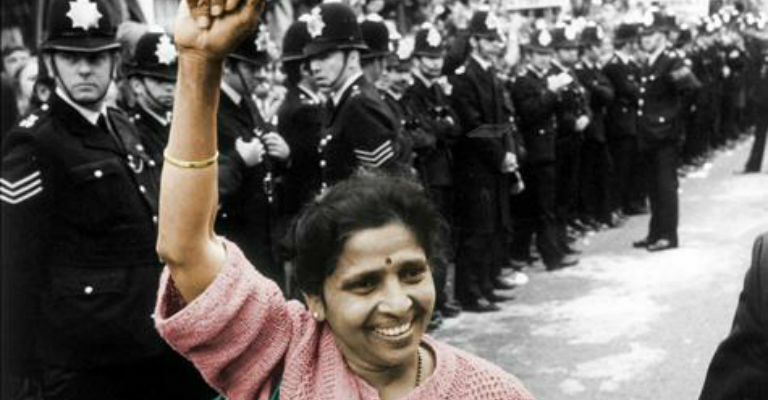 is the remarkable story of Jayaben Desai the inspirational leader of the 1976-78 Grunwick Film Processing Factory Strike. She was recently amongst the women who have had the biggest impact on women’s lives over the past 70 years as part of the Radio 4 Women’s Hour Power List. She not only stood up for workers’ rights and against oppression with selfless dedication, but with her steadfast resolve, she turned the dispute into a national movement for human rights and dignity inspiring future generations.